This is a Guild Wars 2 fanfiction I have written for the competition run by the YouTuber WoodenPotatoes. The topic was “Living World Season 3”. In light of the recent Heart of Thorns expansion, we had to create art related to possible happenings in Living World Season 3. You can find the Reddit thread with all the entries here. 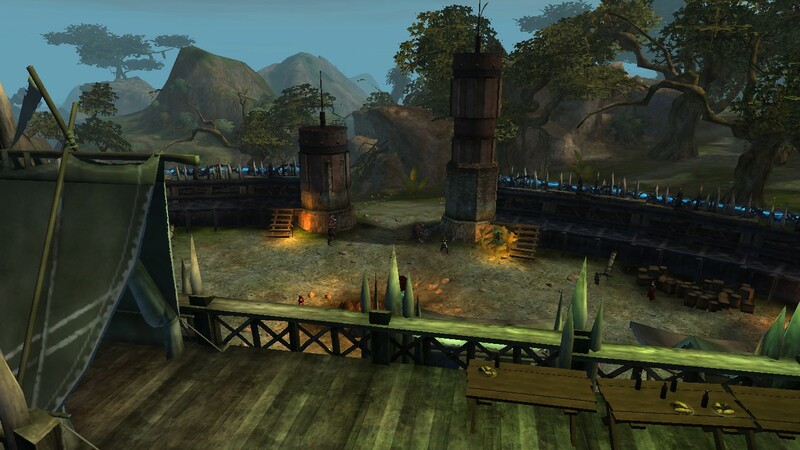 Please note that all images are merely screenshots I took in-game in Guild Wars 2. This is my second piece for the competition, which I have been working on bit by bit over the past few days. This text takes place a few months after the defeat of Mordremoth, the Elder Dragon of Plants and the Mind, and the events of my first piece, “Mindscape”. It concerns the Pact, now under the player character’s control, moving their forces into the Crystal Desert to search for whether Glint left any knowledge for them and to also destroy Kralkatorrik, the Crystal Elder Dragon. “I found a new pet! A plant dog! It’s much friendlier than those ones that you told me about in the jungle. Can I keep it?” A voice burst into my mind, causing me to miss the rest of what the Asuran Warmaster was saying. I saluted the officer and then left the tent. I looked at the fort that would now be handling our supply line and nodded – confident that they could manage the task. I sighed, and then began walking. I might as well shorten the distance that I had to ride the excited hatchling. 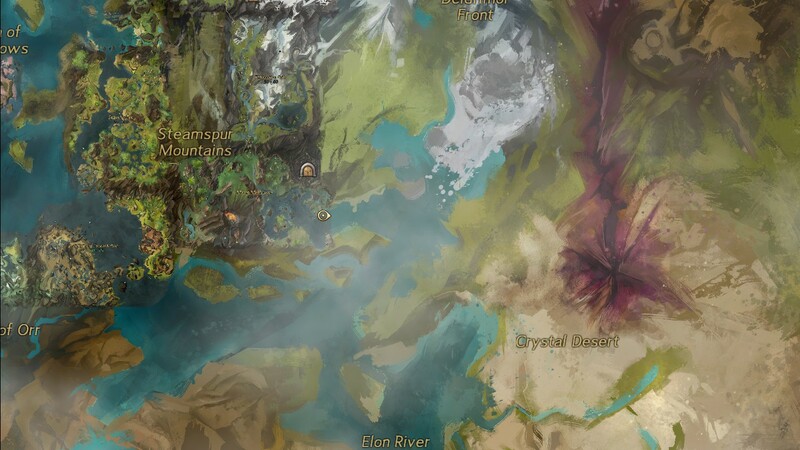 Soon enough, a white crystal dragon – about as tall at shoulder height as the tallest Charr or an average Norn – dove from the sky, extending his wings at the last moment to slow his descent and landing on his feet with a solid thud. Some yells of awe emanated from the Pact camp. “Showoff…” I mentally teased the dragon as he leant down, extending his foreleg for me to climb onto his back. Once I was firmly seated on his back, Glimmer shot off into the sky. I lay down flat on his neck and hugged it, closing my eyes. I then concentrated on the presence in my mind. I felt the air beneath the dragon’s wings, felt how he used his tail for stability, saw the world below from his eyes and shared in his enjoyment of the flight. I had to admit to myself, and thus Glimmer, that I did enjoy flying. Even if his stunts would upset my stomach if it was full. I had got a mere taste of it with my glider and the updrafts in the jungle, but that was nothing compared to actually soaring through the air – feeling the air beneath the mighty flaps of your wings. Glimmer and I had discovered that we could do things such as this when we were first experimenting with our mental connection back in the jungle. In fact, drawing my mind into his own was how Glimmer learnt from my memories. Unfortunately, it did not take us long to catch up to the Pact armada. When Glimmer spotted them, I stopped drawing on his senses, opened my eyes and sat up. I mustn’t appear to be clinging on to Glimmer for dear life to my soldiers. Glimmer caught up with our new flagship, The Remembrance – a mighty ship even without the massive cannon which The Glory of Tyria had had. He then slowed his pace to stay in line with its starboard side. I looked to the side and saluted Laranthir of the Wild and my team, then faced forward again and watched the horizon. We would destroy Kralkatorrik and take his power. One by one, we would destroy the Elder Dragons. We would bring peace to Tyria at long last. Destiny’s Edge must have spotted us coming, as a signal fire releasing a plume of smoke in the desert was clearly visible. The group had set up their camp outside a half-destroyed fortress from another era. Without my needing to prompt him, Glimmer flew higher than the airships – giving us a good view of the lands below. Beyond the signal fire, in an Easterly South East direction, I could see green hills extending for a large distance, followed by a short golden-white strip and then purple stretching off into the horizon. I clung to Glimmer’s neck and entered his mind again. Depending on how things went, it might be some time before I got to do this again. The dragon, knowing what to do, tucked in his wings and dived for the ground – our hearts pumping. We landed right next to the Edge of Destiny’s camp, our tail almost hitting a tent. Luckily nothing was damaged – if you didn’t count our rather deep paw prints in the ground. Soon enough, all of my team and my Pact officers had joined me on the ground. I started the conversation off by asking Destiny’s Edge to present their findings. These ruins were in far worse a state than Fort Trinity was. We decided that we might as well knock the walls down; they were beyond repair. However, this decayed fortress was still better than starting from scratch. The foundations were solid. We were going to use them for our new fortress. After deciding what needed to be done, I asked Zojja to tell the officers of the Forgotten ruins. We settled that Glimmer, Destiny’s Edge and I would go to these ruins. Destiny’s Edge would guard the entrance as Zojja said that only Glimmer and I were allowed to enter. My team would help out at the fort. When we arrived, Zojja showed us to two immense stone doors; big enough to fit Glimmer. On one door was the rough shape of a hand, while the other had the shape of a dragon’s foot. Zojja read the inscription aloud. Champion and Legacy of Glint. This is no mere hint. can wrongs be brought to correction. Tested, shall be their resolve. Glimmer and I silently looked at one another, then to the door. Zojja stepped aside. We walked up to the doors and each touched the door with our respective marking. The symbols lit up, soon followed by the grinding of stone as the doors opened before us. Together, we entered the darkness.